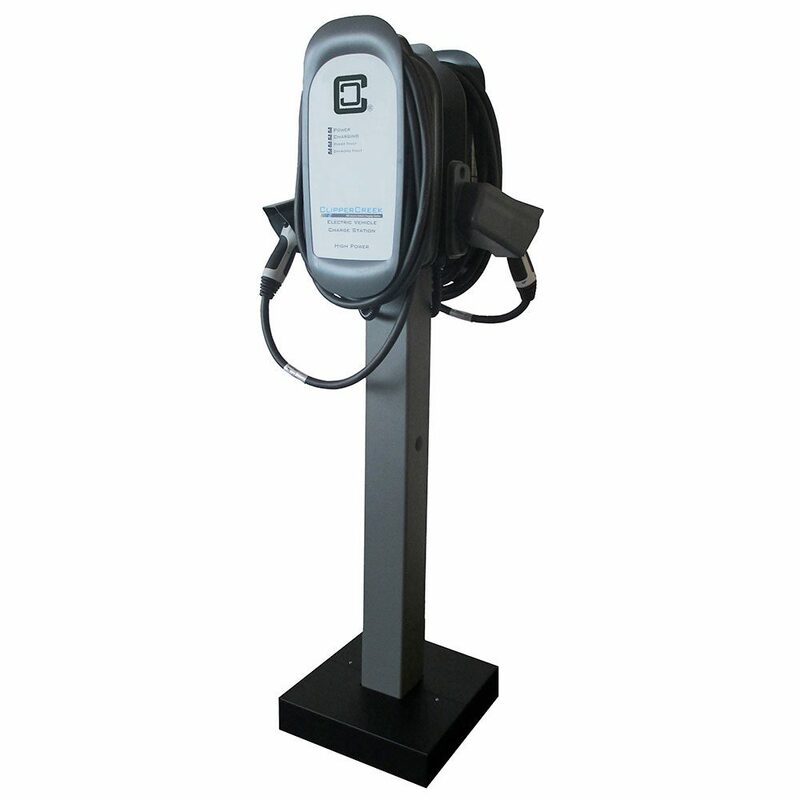 The NovaCharge EVSE Pedestal allows for easy installation of single or dual NC-5000 units. 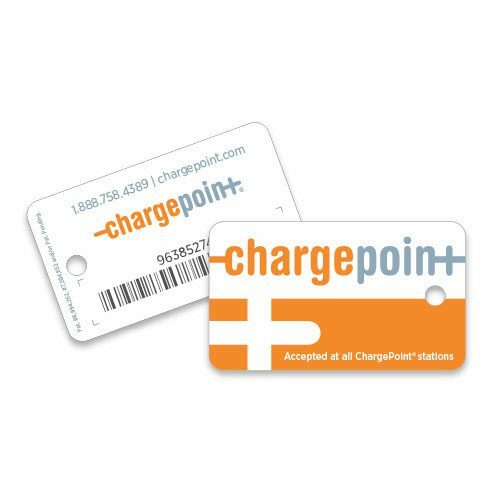 The 60” aluminum post is heavy duty and comes with a hardware installation kit to mount the charger. 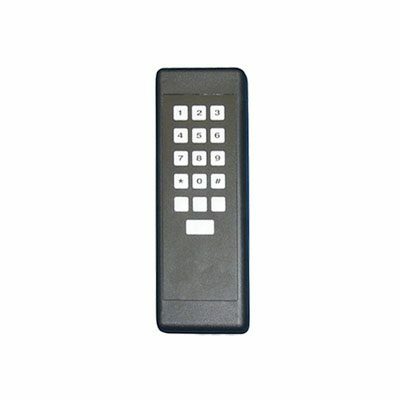 The hollow core allows for easy wire routing and management. 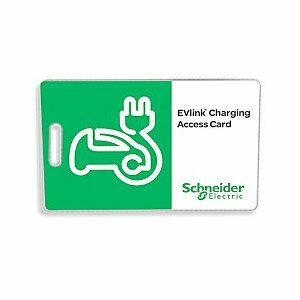 Please note: The charger and electrical wiring should be installed by a qualified electrician in accordance with local electrical codes and ordinances. 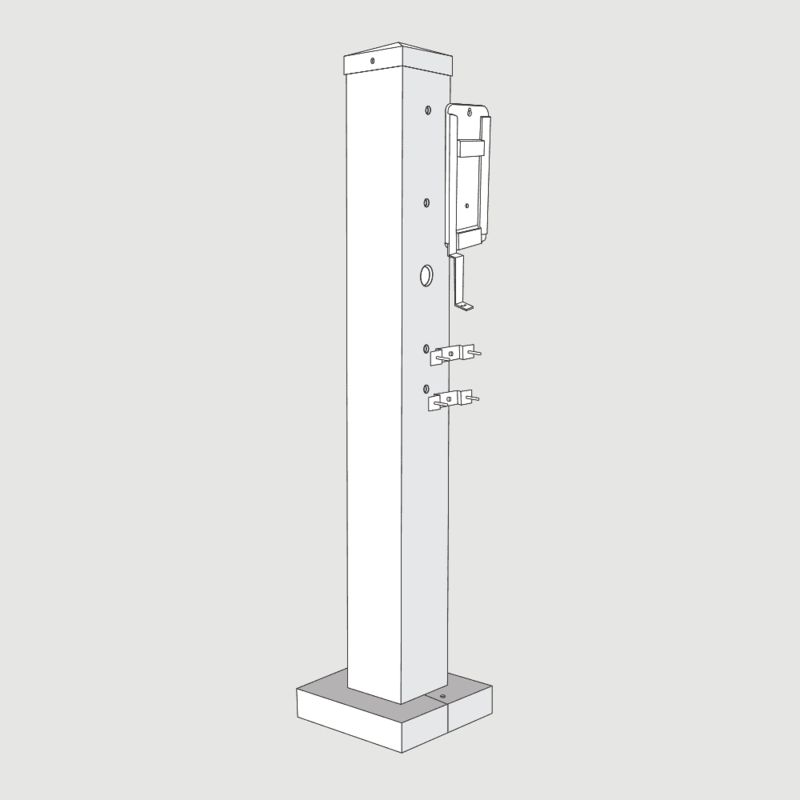 NOT INCLUDED with Pedestal hardware: Four (4) Anchor Bolts with Nuts and Washers. These need to be purchased separately. 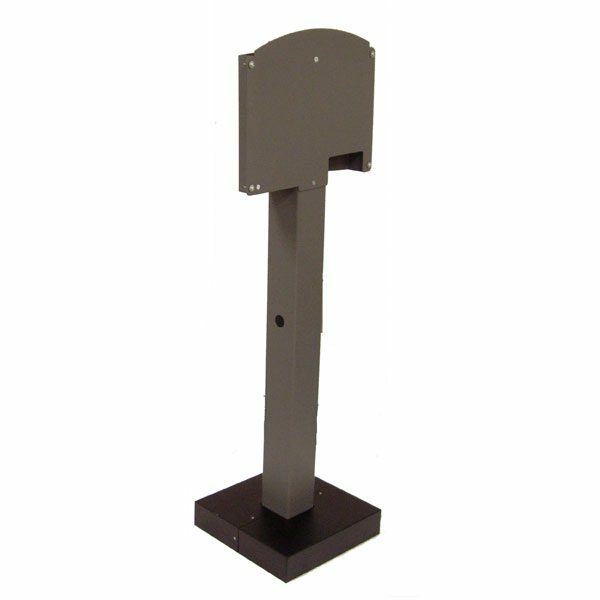 Pedestal Kit ONLY – Must order Charging unit/s separately. 4″ Cold Rolled Steel 1/4″ thick can take the occasional fender bump.